I was in Europe at the time, so, I do not know why Csonka and Warfield went to other NFL teams rather than resigning with us. Does anyone remember the situation? Were there hard feelings in Miami? 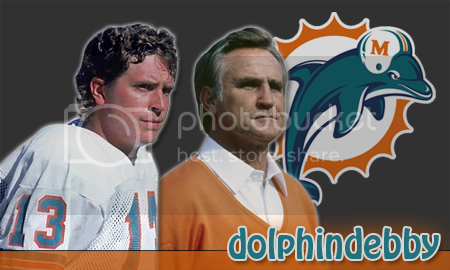 The Dolphins began the 1976 season with a trade and the reception of several compensatory draft picks leading up to the NFL Draft. The first of these trades came on April 6th, with the Dolphins sending Linebacker Rodrigo Barnes to the St. Louis Cardinals for a 12th round pick in the forthcoming draft. On the same day, the New York Giants forfeited two 3rd round draft choices (in the 1978 and 1979 Drafts) for signing Fullback Larry Csonka after the World Football League folded. Two days later, the Dolphins again received a couple of draft choices, as the Cleveland Browns provided the Dolphins with their 3rd and 7thround picks in 1978 for signing Wide receiver Paul Warfield (again after the WFL's collapse). The reception of draft choices continued on April 10th, as the Dolphins received a 1978 12th round pick and a 1979 9thround pick from the Denver Broncos when they signed running back Jim Kiick (the final of the big three WFL defectors from the Dolphins). I can't remember why they didn't come back to the team at first. They left because they got more money and thought it was a better deal and place for them. I was so angry at Zonk. I watched him in one game with the Giants. It was totally weird to see him there. When he came back tho', all was forgiven for me. Did he retire after that year, or did he play another one? I've got a football card of Warfield in a browns jersey. Never got one in the Dolphins uni. Joe Robbie thought Csonka's asking price was to high. You know, that figures. Robbie was a tightwad when it came to players salaries. Money was also the reason why Csonka left the Dolphins a second time. I am sure Shula would have paid his asking price.